Anna Waters-Massey is an actress, vocalist and voice artist. She has taught Drama for many years, written a book of children's scripts, performed in TV, film, theatre and regularly records voice overs and jingles. Anna is a professional vocalist and Drama teacher who brings a wealth of live theatre experience to the studio. Anna has been singing and recording professionally since she was 17. Coupled with her drama training this led to voice over work as well as jingles for studios, radio and television stations. Anna is able to create various characters and accents for your ads as well as straight reads. Anna has sung on stage, in bands and in studios extensively. Her vocal style varies from soul, folk, rock, funk, and jazz through to the classics. Anna's most recent projects include 'The Voice of The Station" for Goldlinq's light rail on the Gold Coast, lead vocals on the theme song for Stage Mums comedy series and all the VOs for Pillow Talk's TVCs in 2015. She has also done work for Sputnik Films, Austereo, Macquarie Southern Cross Media, Sea FM, Gold FM, Digital Sound & Vision, Southern Cross and WIN TV, Able Productions, PBC Design Studios, Aslan Productions and Morrisson Media. 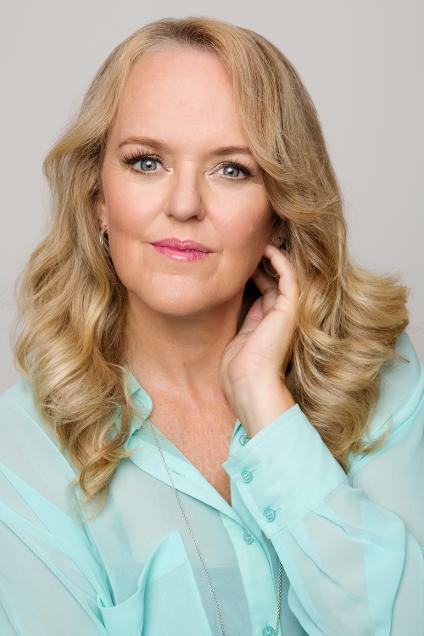 Her work includes corporate voice overs for Brisbane Traffic Management, character voices on computer game "The Creed", Water Safety videos with Laurie Lawrence, presenter on the "White Magic" advertorial and vocals on the Robina Tavern jingle. Anna also performs backing vocals for various artists in the studio. Anna has a Bachelor of Education in Drama and English which led her to explore acting on both stage and film. Anna's camera appearances are many and varied, including TVCs (World's Greatest Shave, QCU workers Comp, Hans, RACQ, White Magic), corporate videos, Web series (Stage Mums, Adult Conversations, Dynamic Pizza), TV (We Were Tomorrow, H2O-Just Add Water, Sea Patrol), short films (Uberrich, Humidity Rising, Futility, Edna, I'm Home, People Watching) and feature films (Space/Time, ICU, Vigilante). She has played lead roles in a number of theatre productions and musicals including Bombshells, Evita, Cabaret and Jekyll and Hyde alongside Rob Guest. She performed regularly in cabaret shows at the Launceston Casino, Tasmania from 1995 until 1997 when she moved to the Gold Coast, Queensland. Her version of Andrew Lloyd Webber's one woman show Tell Me On a Sunday played for three seasons.